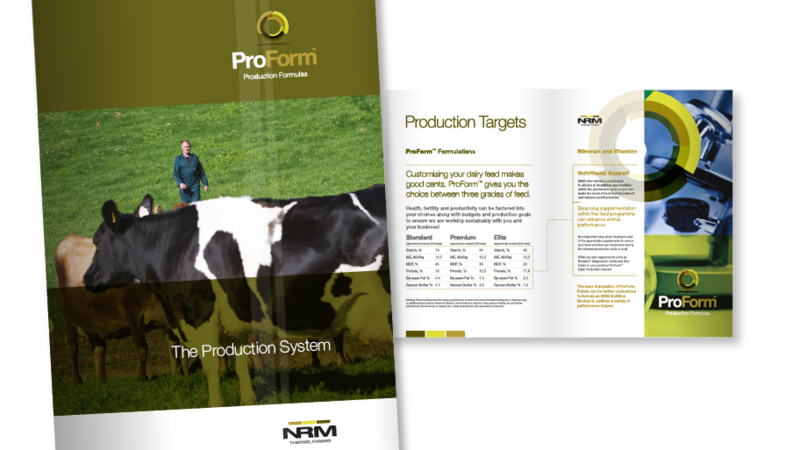 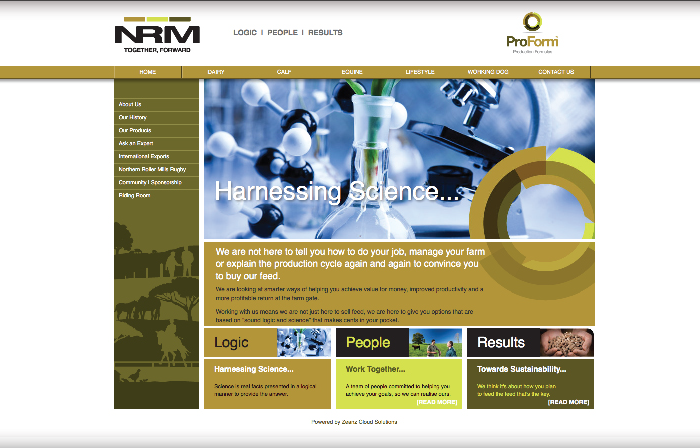 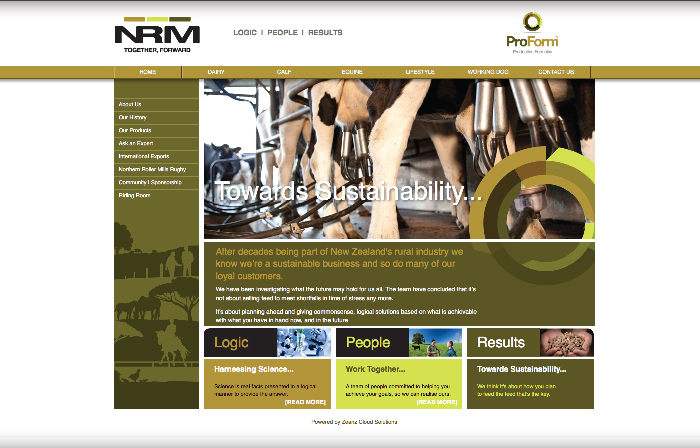 Whatever was contracted to review NRM’s brand culture, strategic objectives and plans, develop a new brand strategy and culture with a communications programme that would engage with staff and recapture the attention of the current customer base and reposition the company as a major player in the New Zealand rural feed industry. 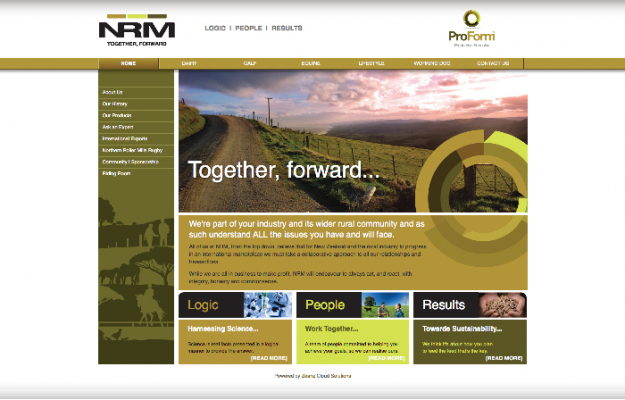 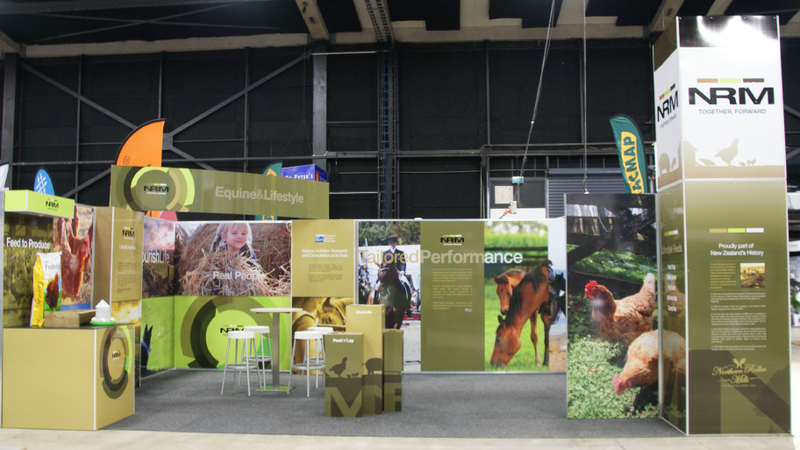 Working alongside the Sales & Marketing team to a strict timeframe of 3 months, Whatever was able to deliver a complete brand strategy including a full suite of brand material from logo evolution and positioning to a complete identity revamp, reworked sales and product material and the redesign and construction of the New Zealand National Fieldays Site at Hamilton’s Mystery Creek. With a full reveal and explanation of not just the new identity, but the vision for the a new brand culture and its goals, staff where instantly engaged and excited about the new brand. 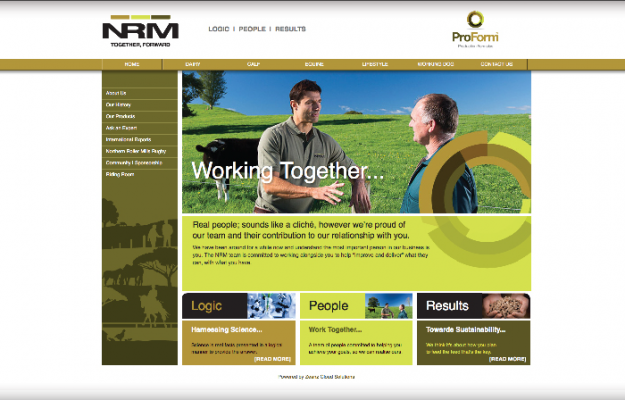 This enthusiasm extended from the manufacturing team to head office. 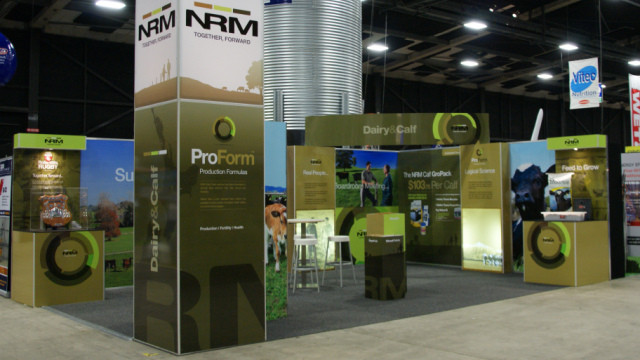 Over the course of the New Zealand National Fieldays, the members of the NRM team where approached by both customer and competitor alike who all confirmed that the relaunch of their brand had “hit the spot”. 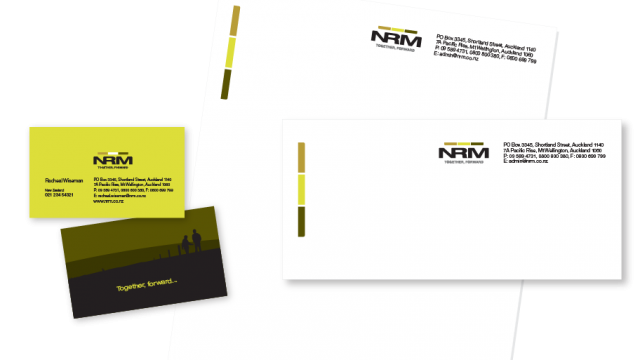 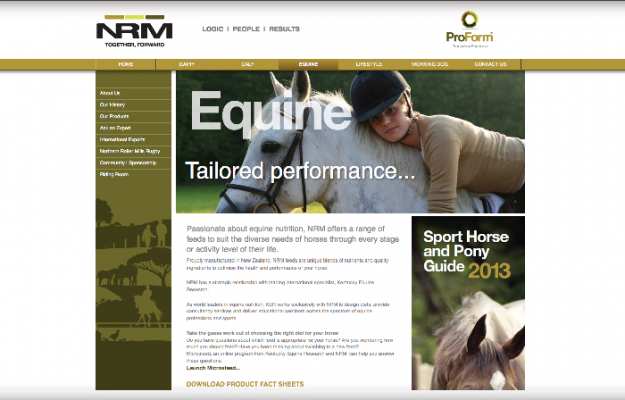 “Natalie and the Whatever Marketing Team have been invaluable to the NRM brand. 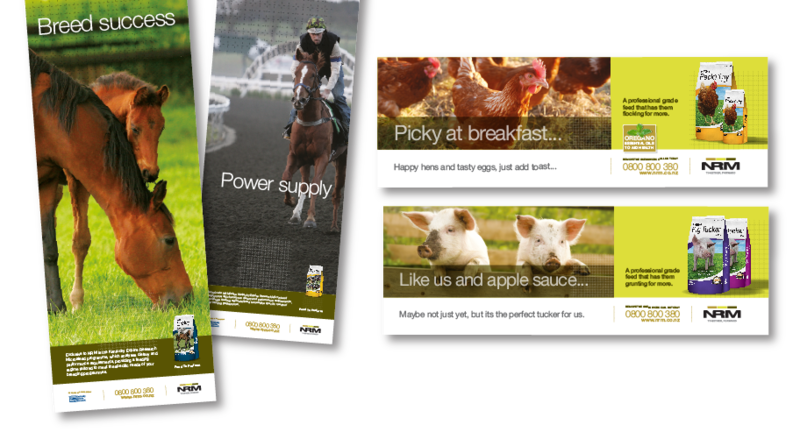 I have been impressed with the solid strategic thinking, the development and execution of the creative and the roll-out of our brand re-fresh campaign. 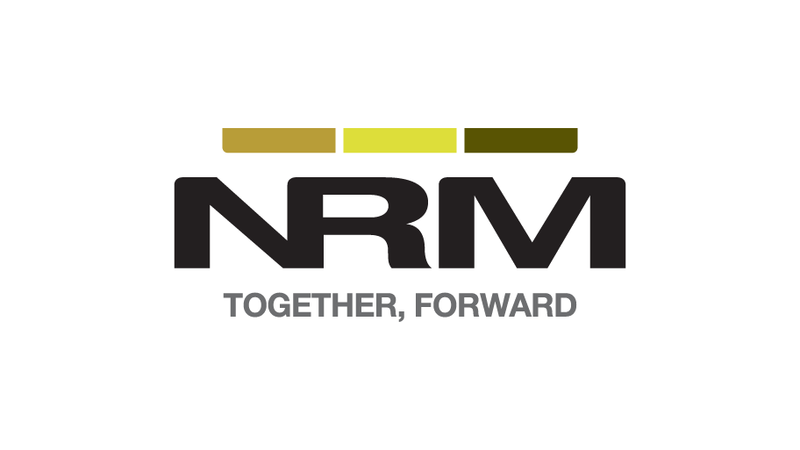 Their knowledge and expertise have helped NRM move forward beyond measure. The focus and commitment has been exceptional – they continuously work in the background developing ideas to achieve what’s best for me as a client and the NRM brand.